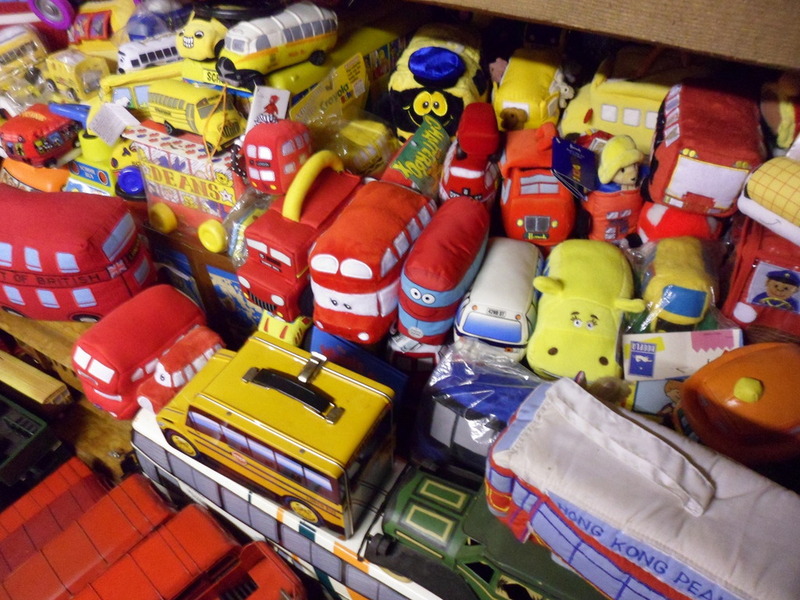 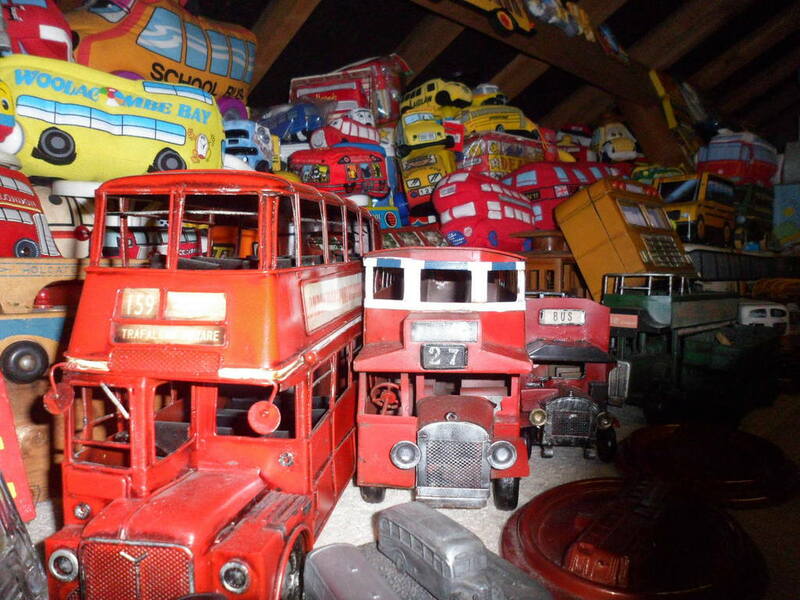 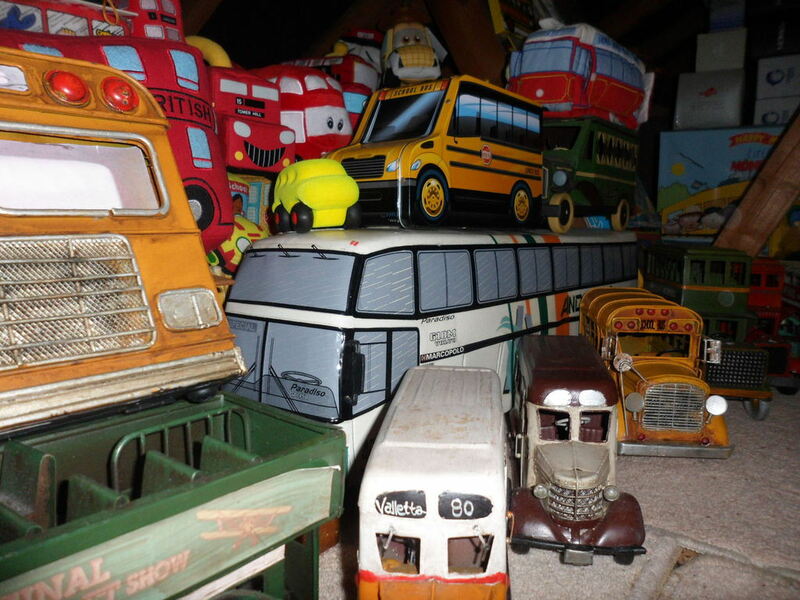 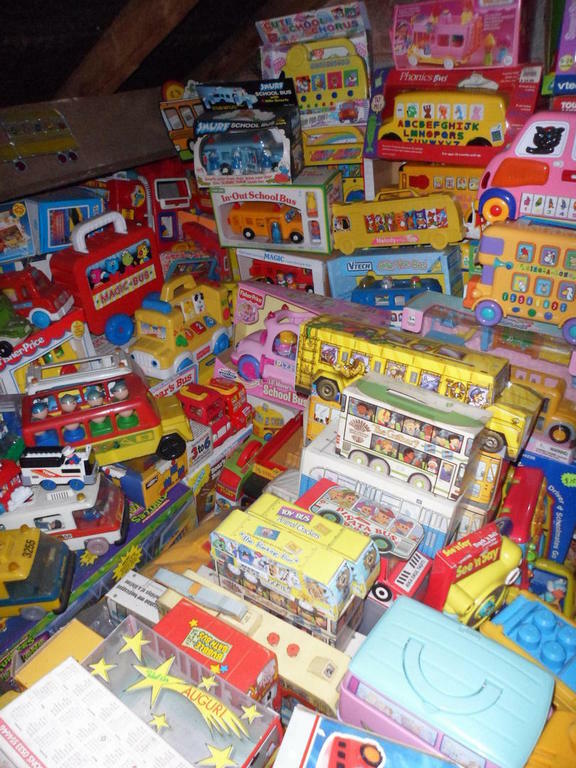 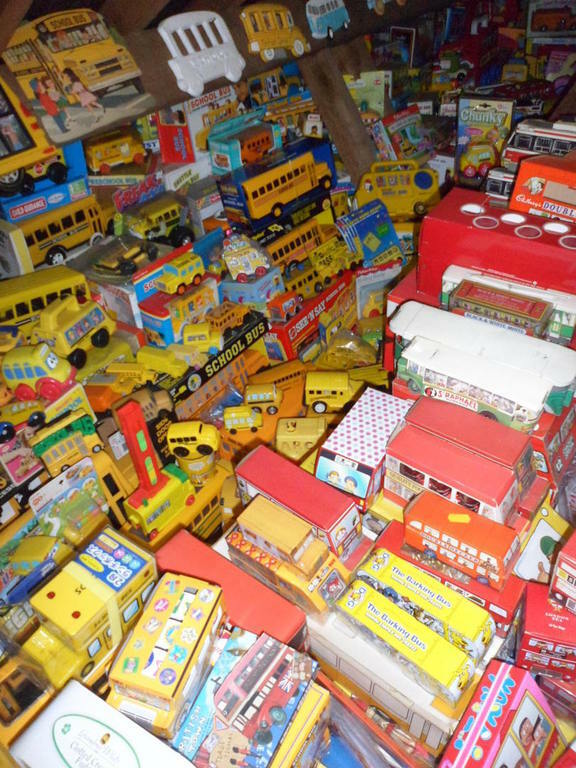 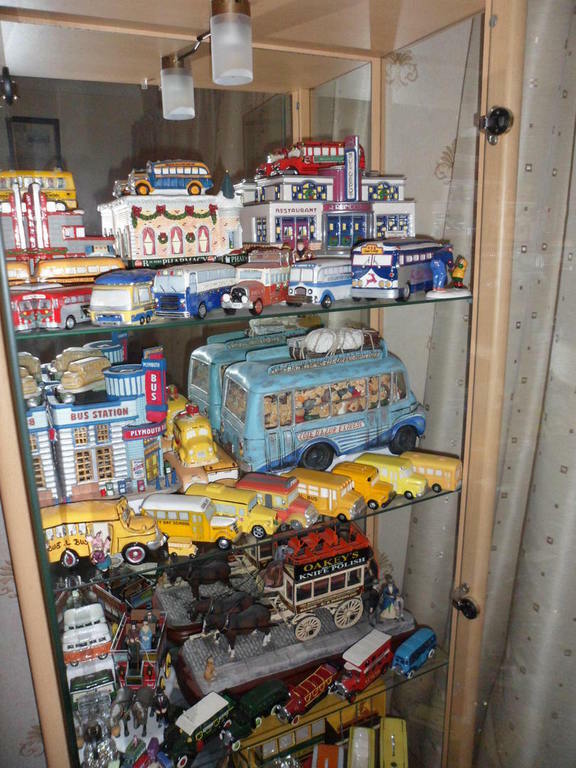 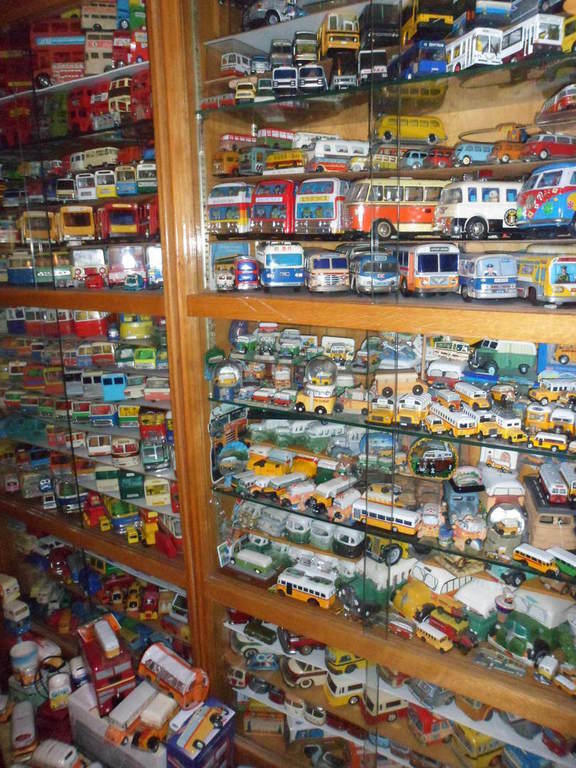 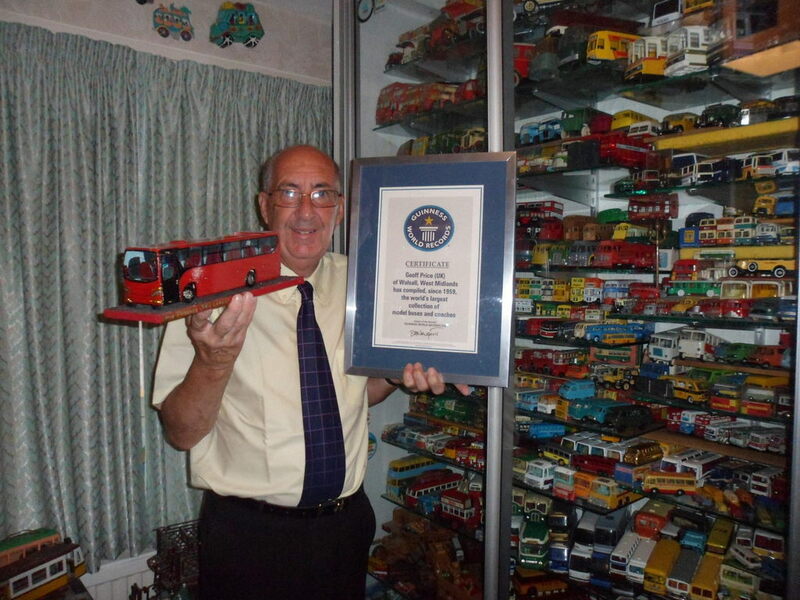 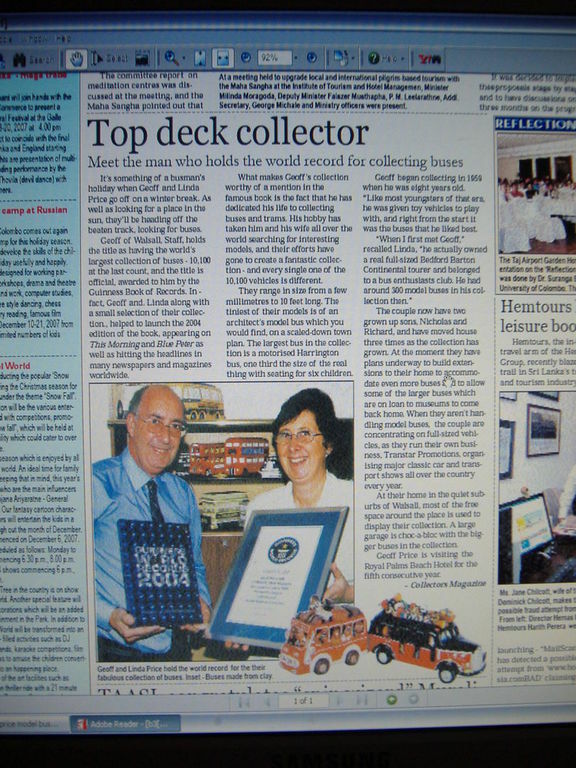 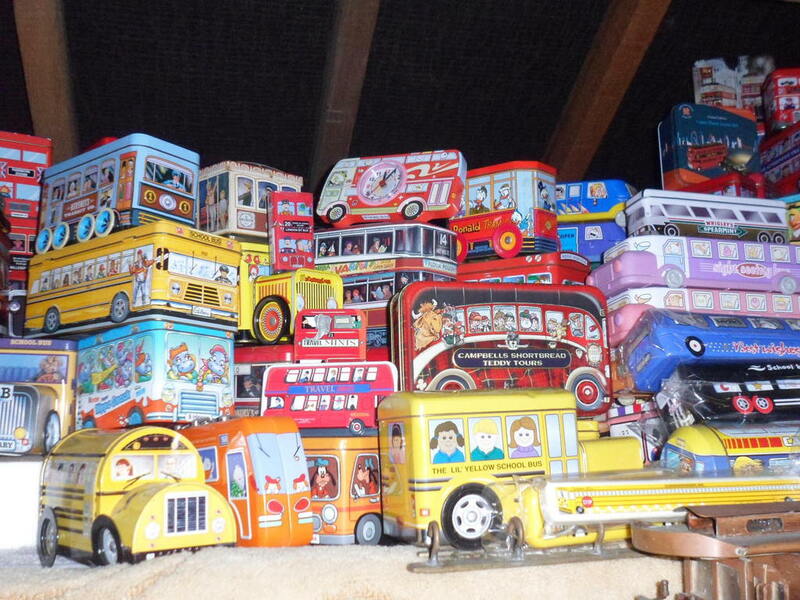 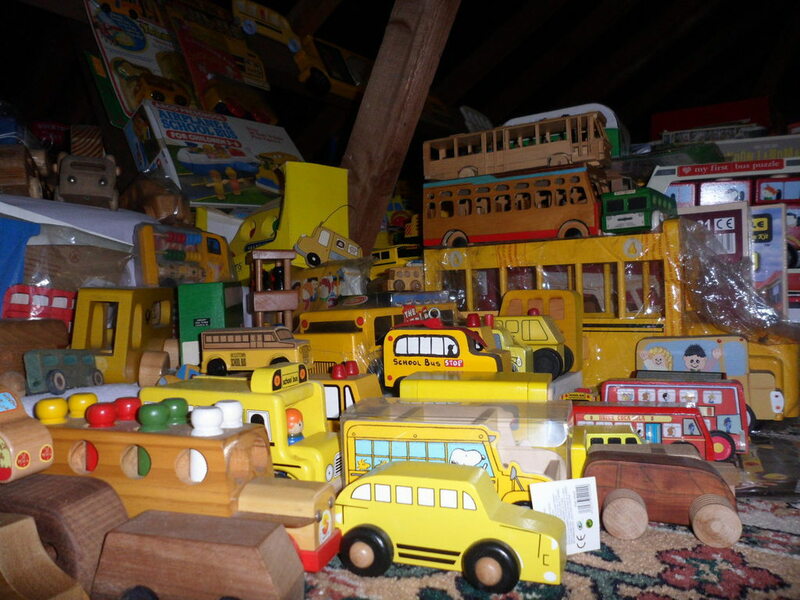 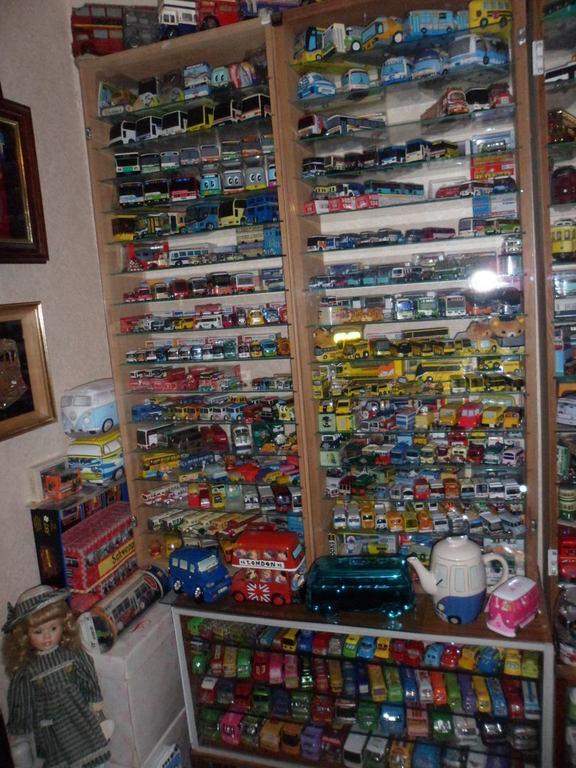 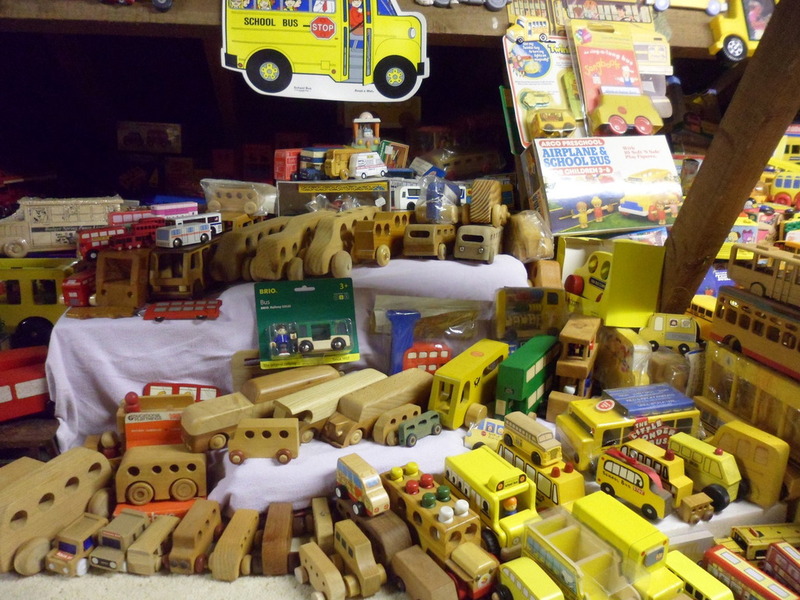 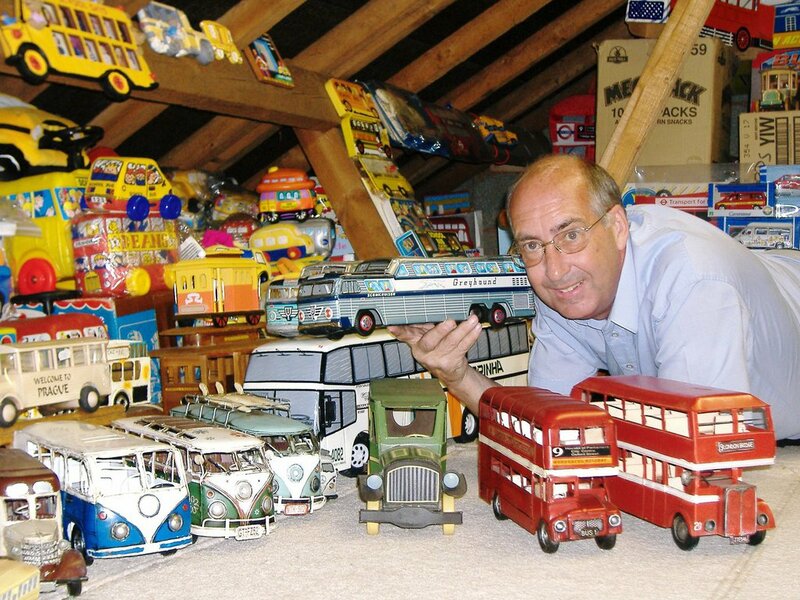 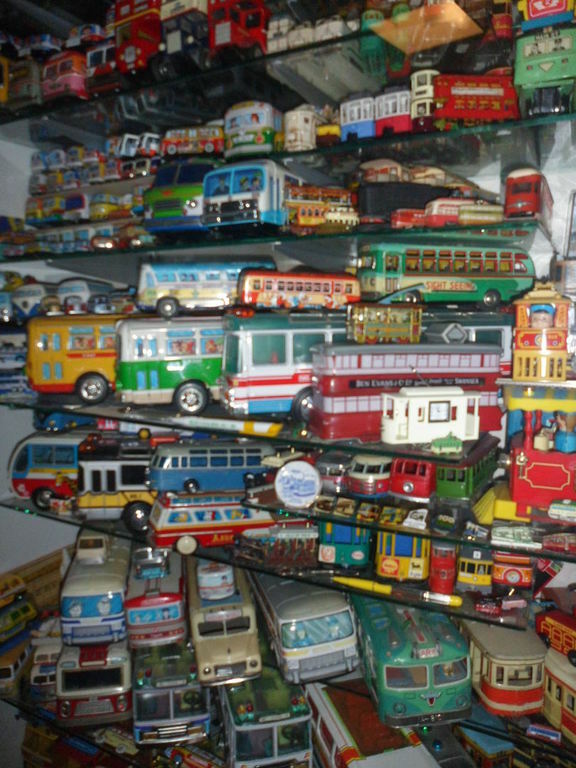 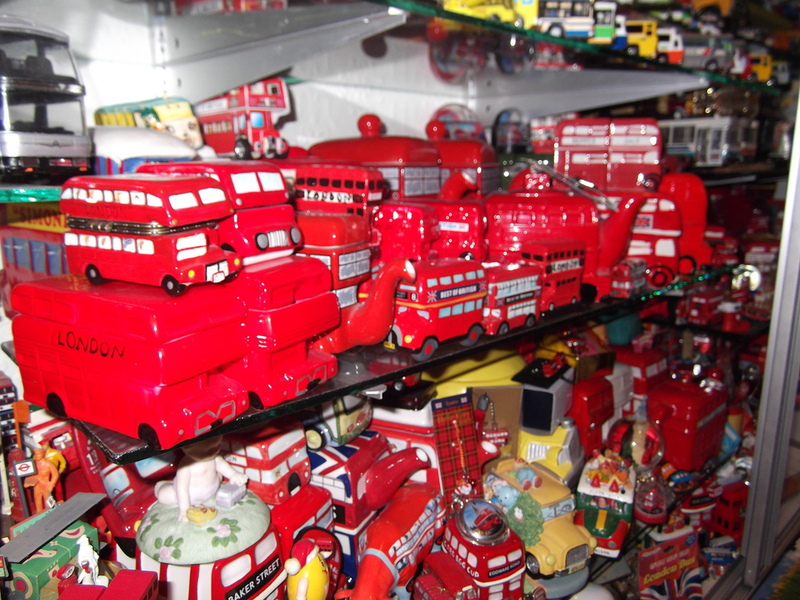 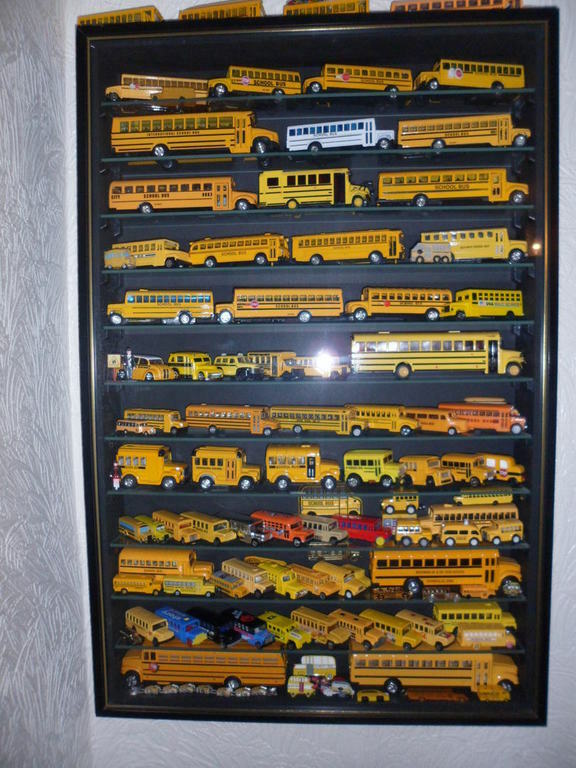 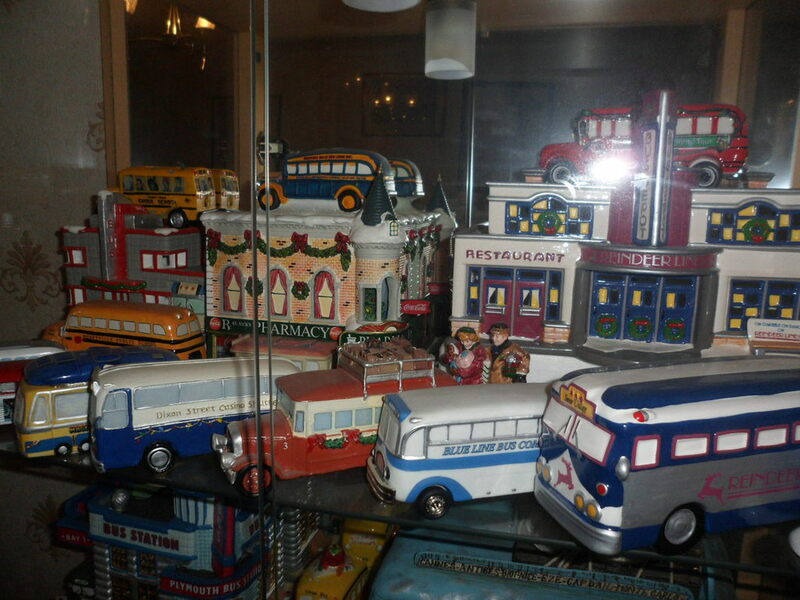 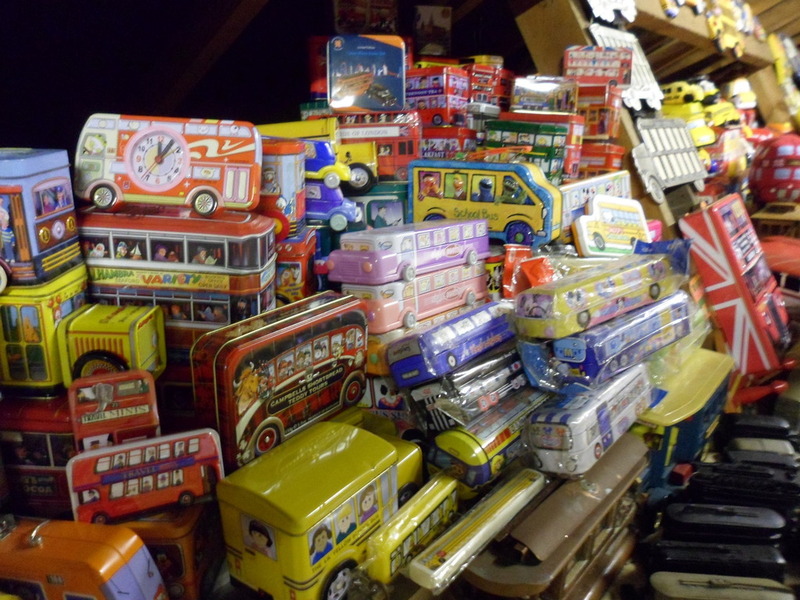 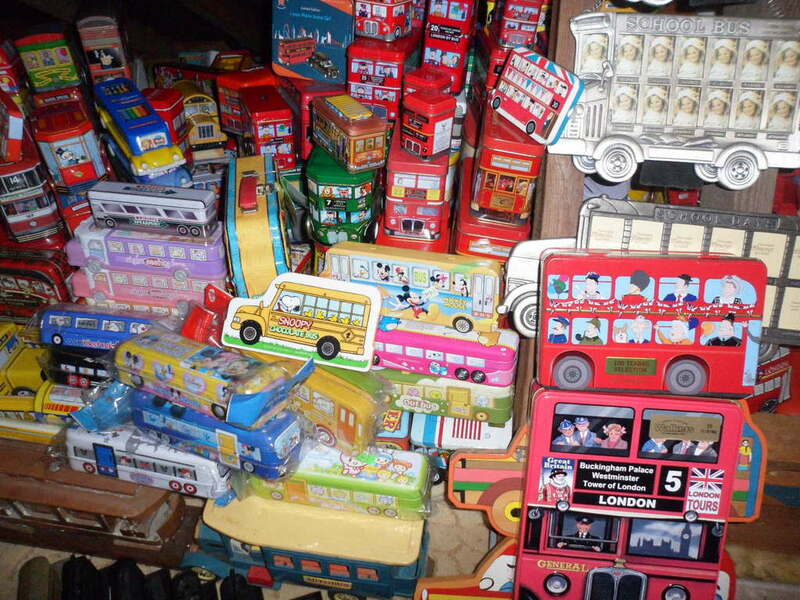 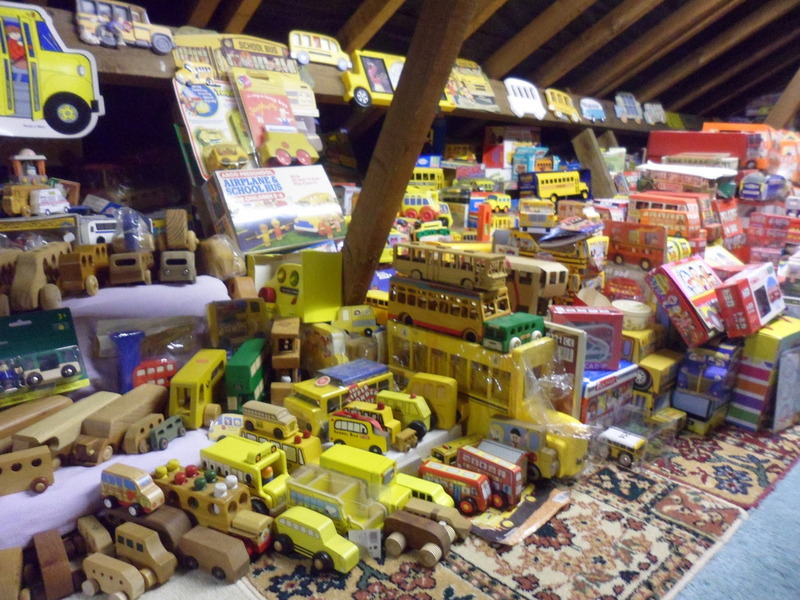 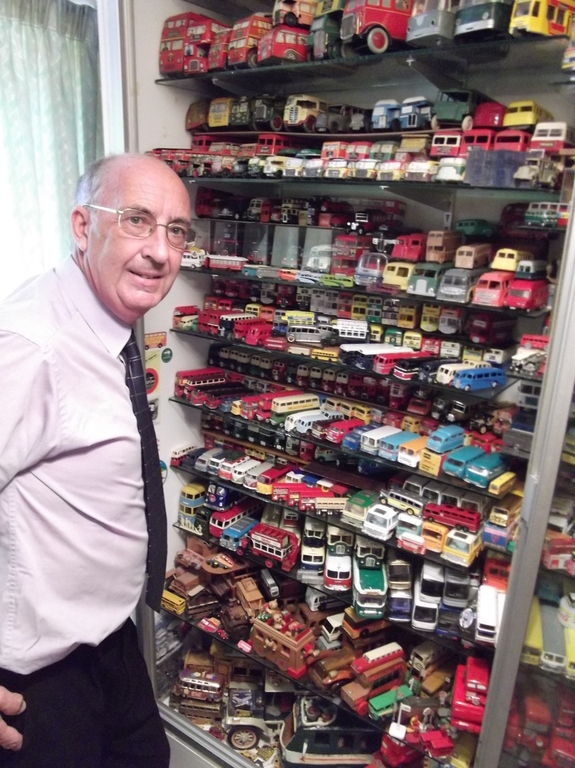 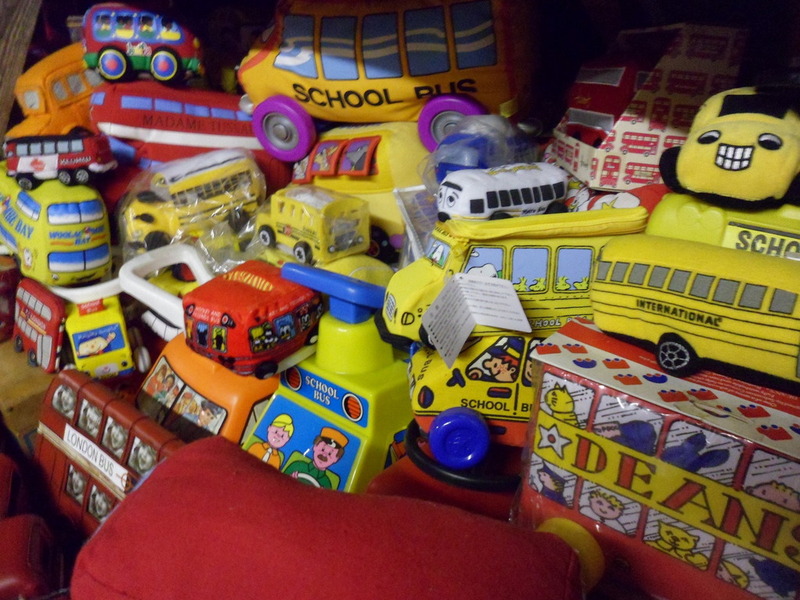 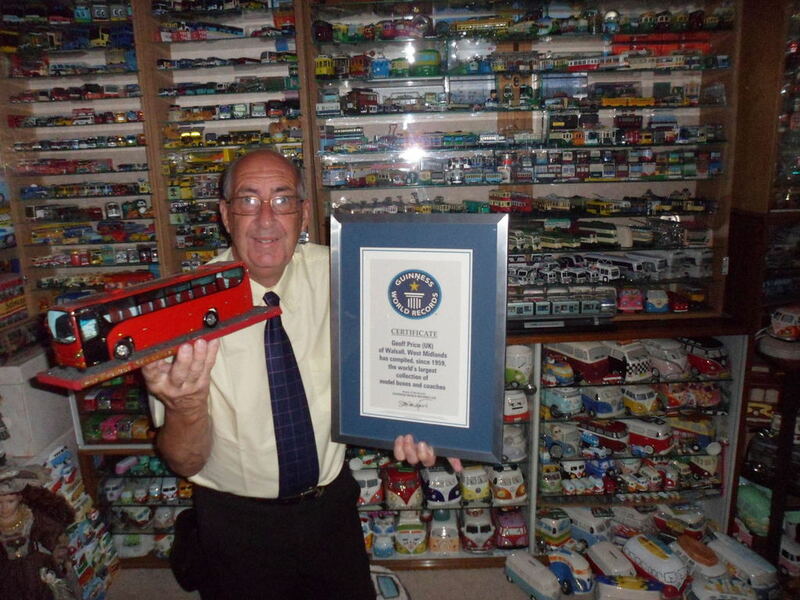 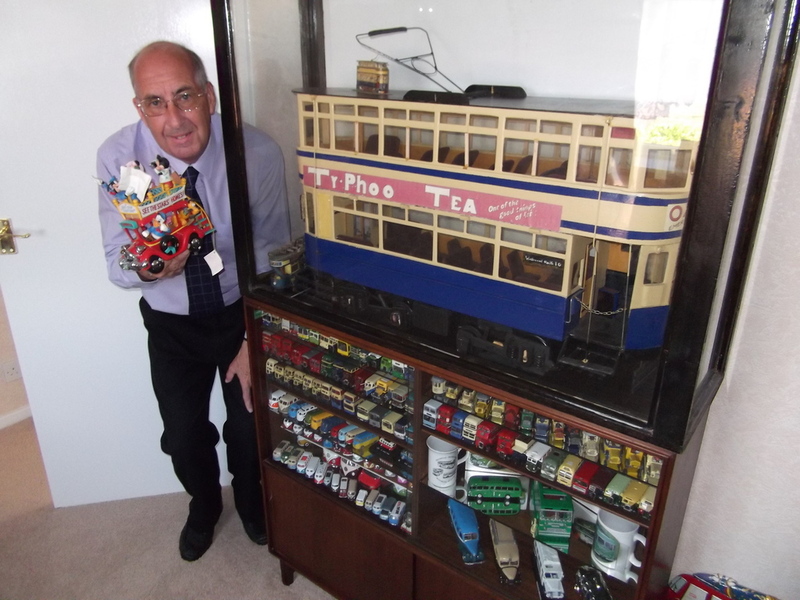 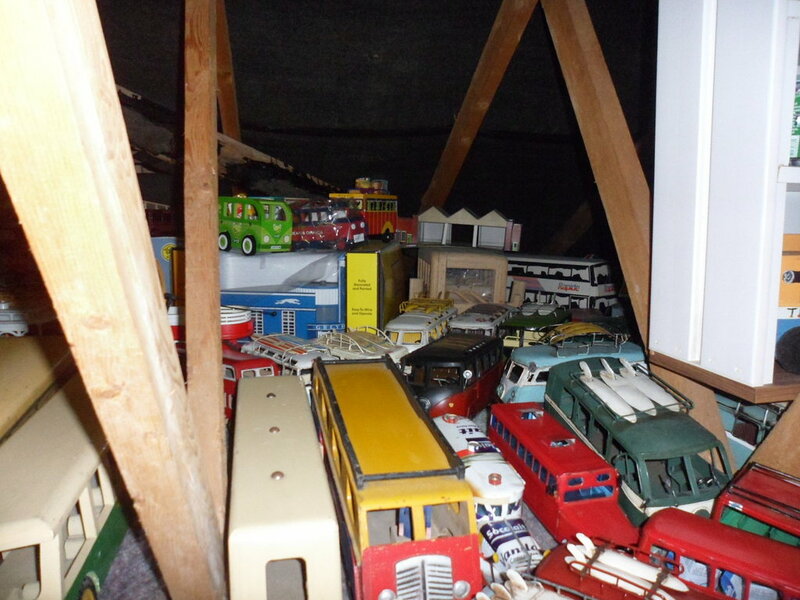 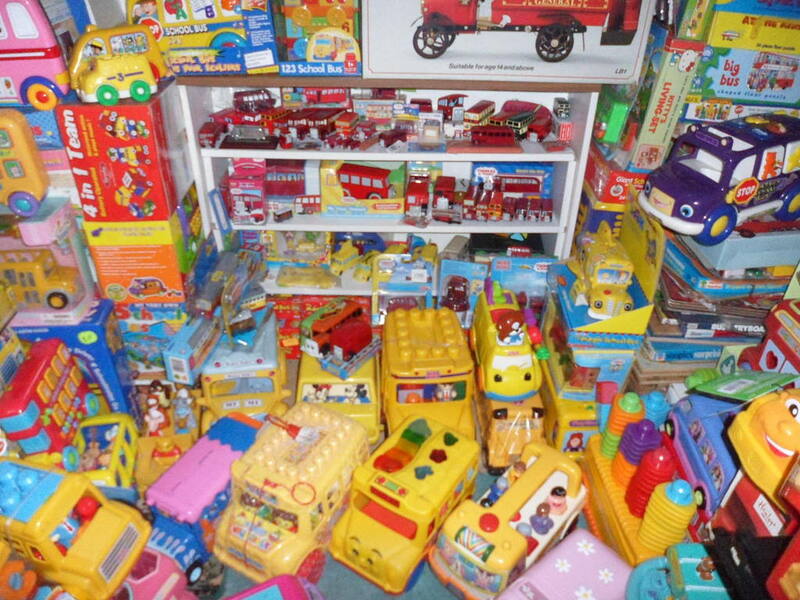 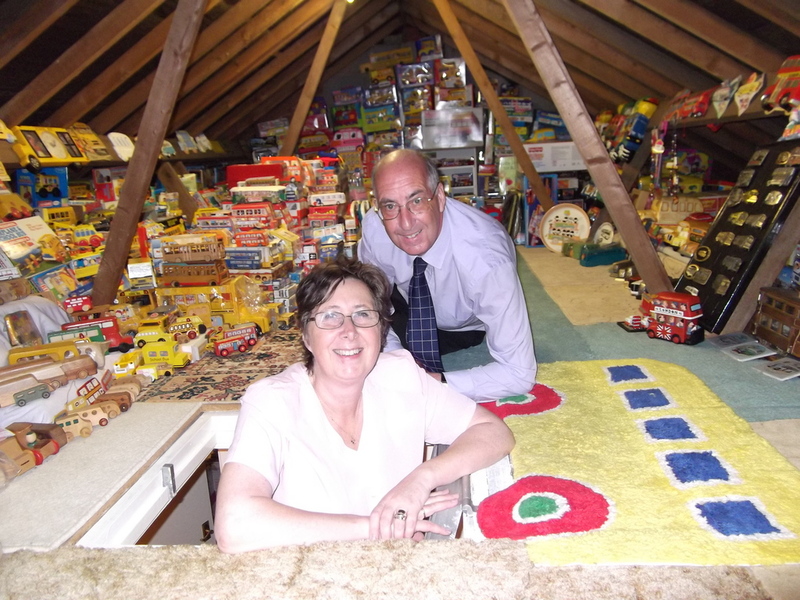 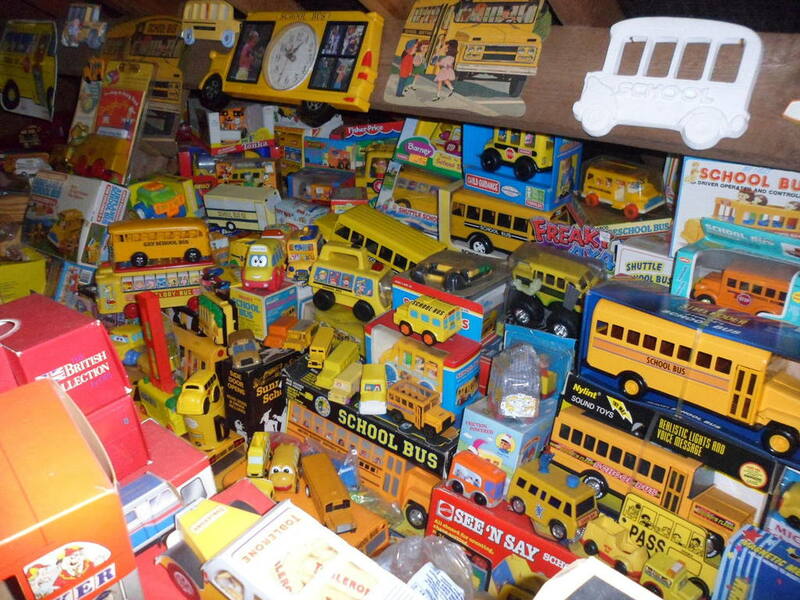 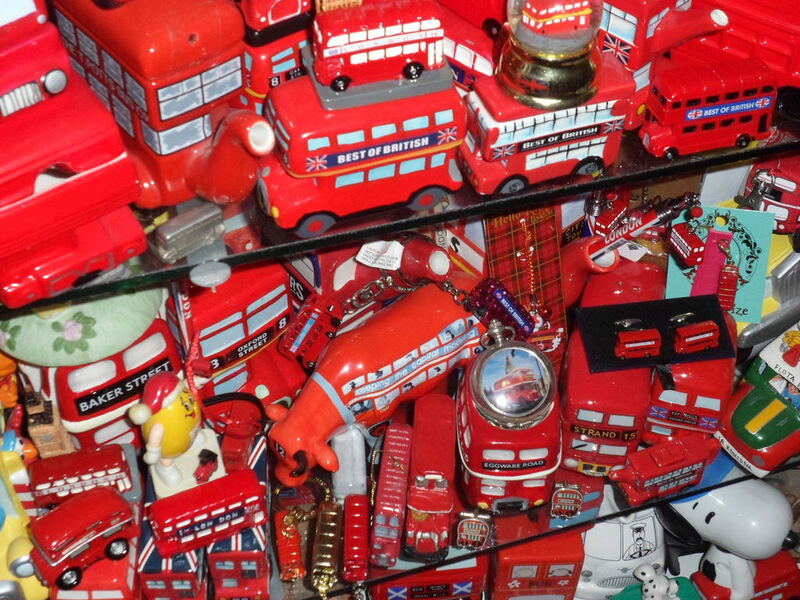 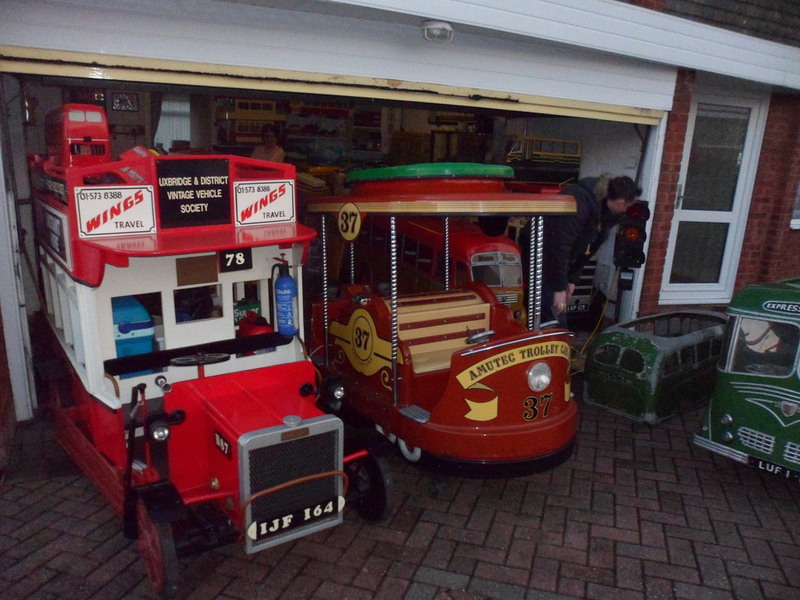 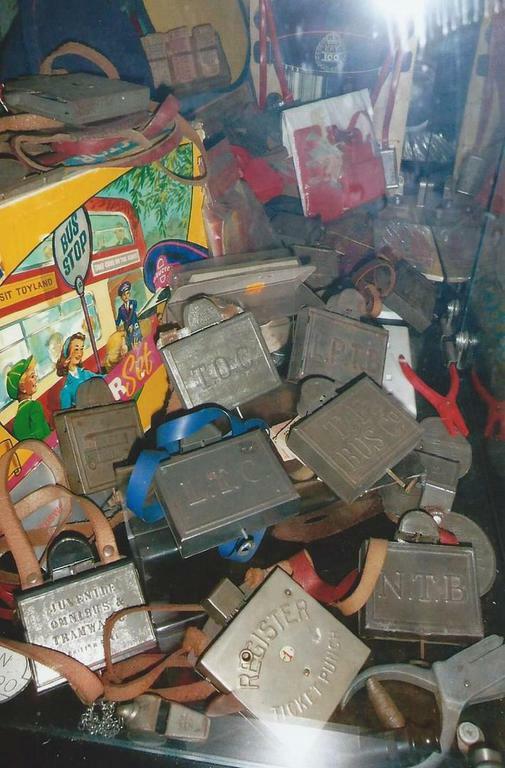 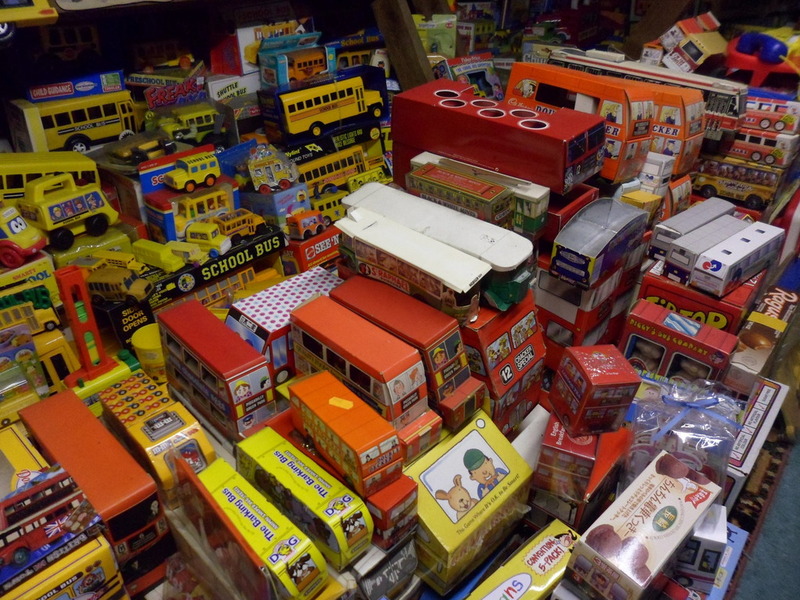 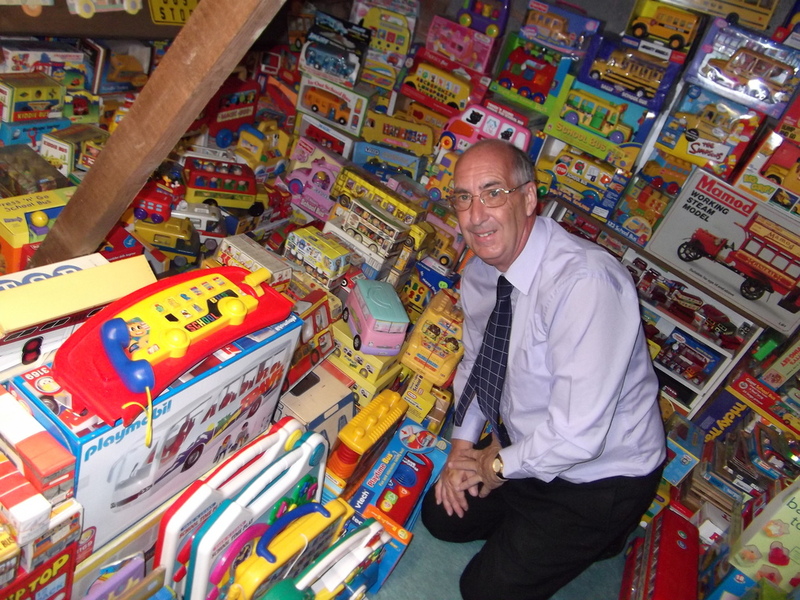 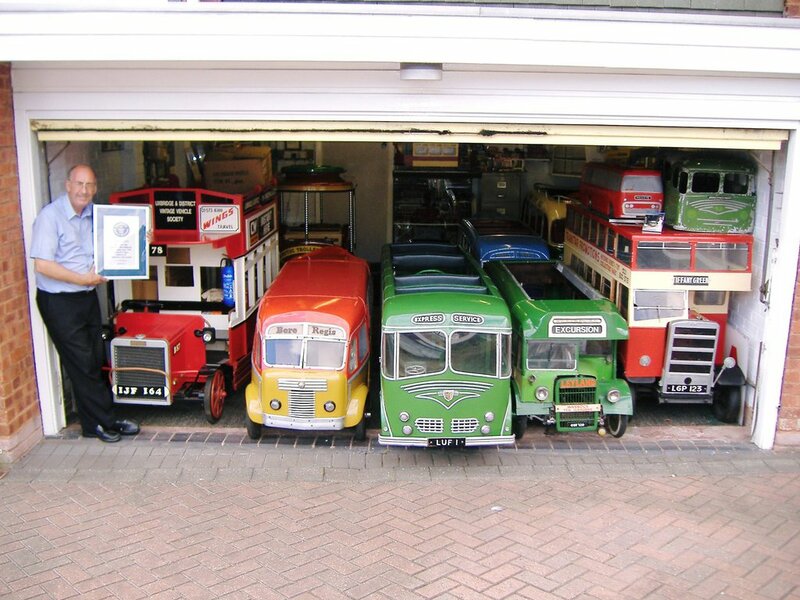 The collection includes all kinds of model and toy buses, coaches, trolleybuses and trams. 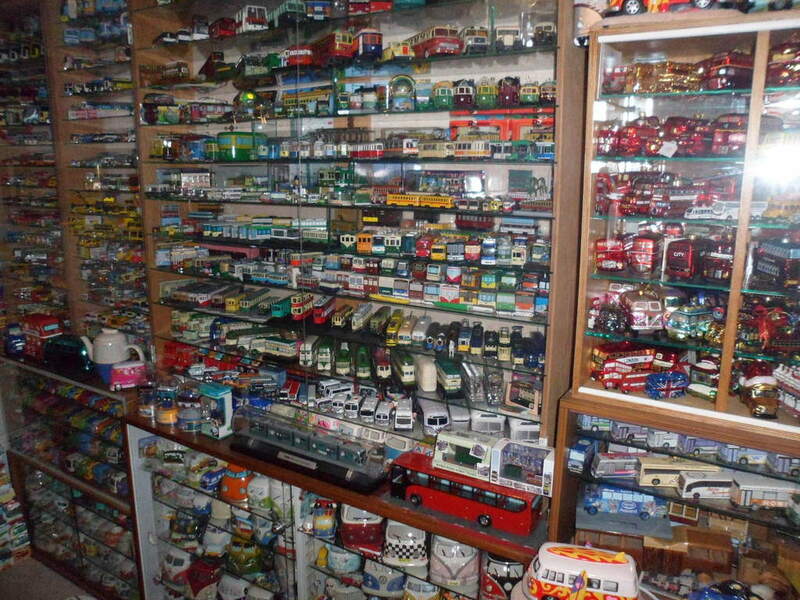 The earliest dating back to 1903 up to the items currently produced. 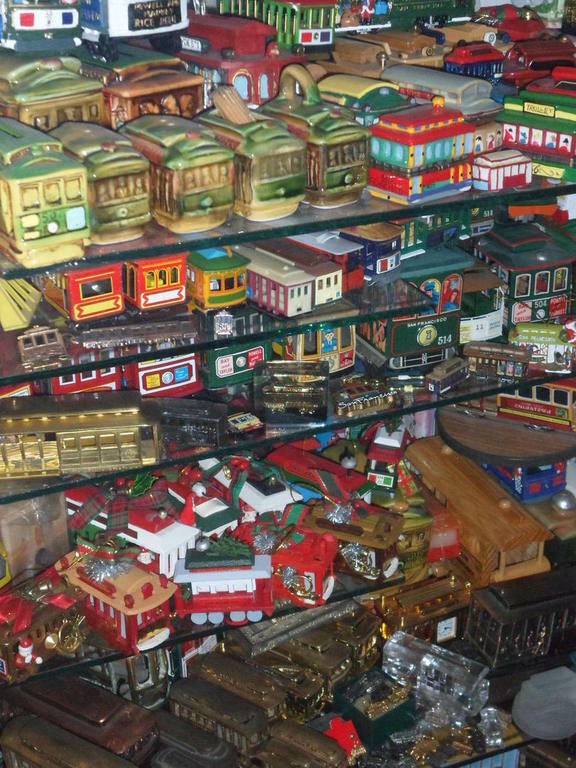 They come from all around the World – in all shapes and the sizes range from the very small architects models to working miniature coaches 10ft long. 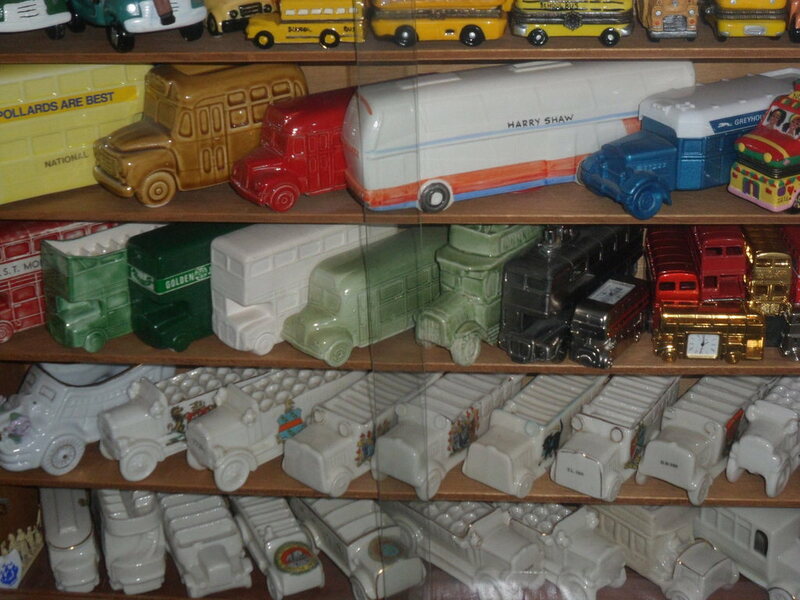 Produced from any materials which include, diecast, resin, plastic, metal, wood, glass, card, coal, silver, ceramic, soap, fabric, sponge, rubber, cast iron and tin. 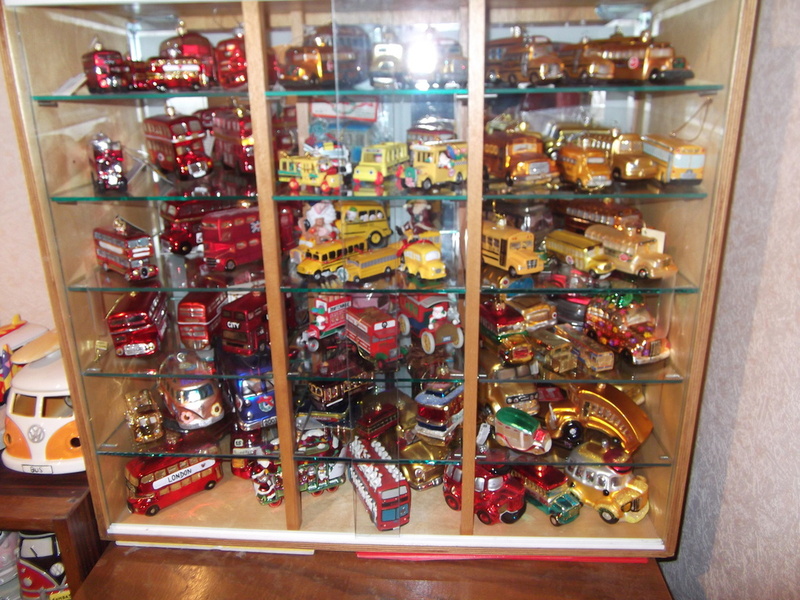 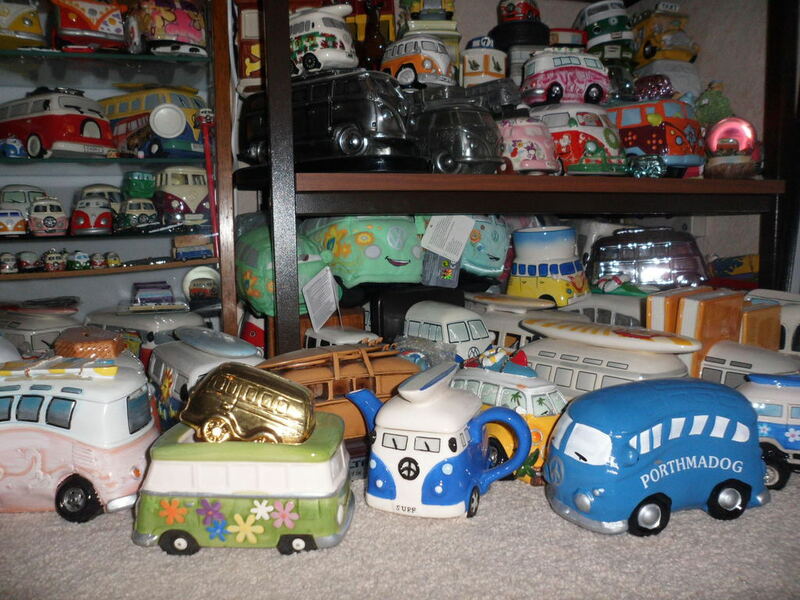 Amongst the collection alongside the traditional diecast and toy models are buses and trams in the shape of cookie jars, biscuit tins, bus clocks, silver charms, paper weights, garden ornaments, novelty buses, lamps, egg cups, teapots, jewellery boxes, glass christmas ornaments, buses boxes and promotional items, animal toys, happy meal toys, reproduction models, manufacturers models, stress buses, bus lamps, candles, plus many other items. 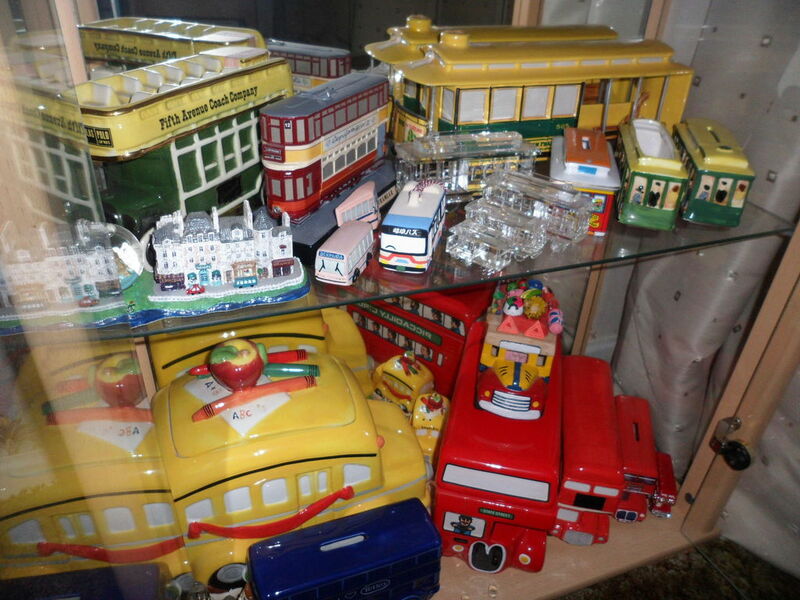 It is perhaps easier to say what we do not collect and in simple terms we do not collect “paint and stickers” i.e. 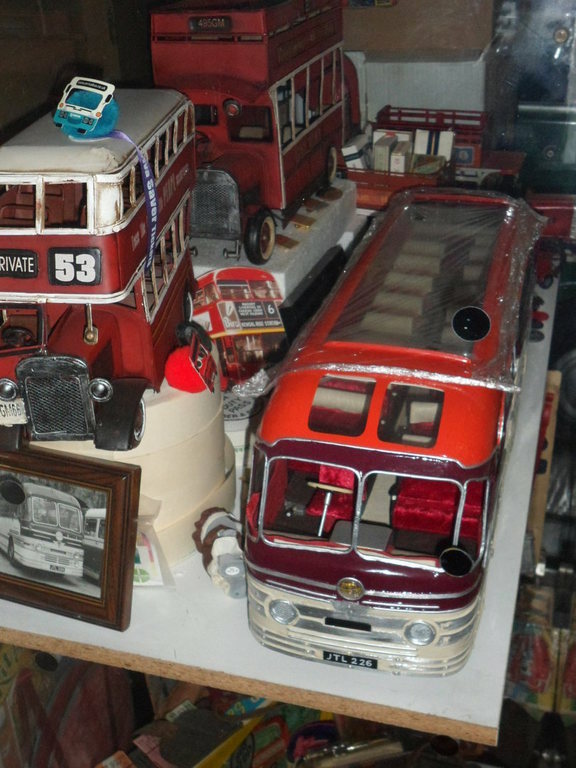 the same item from a manufacturer in different colours or different adverts applied. 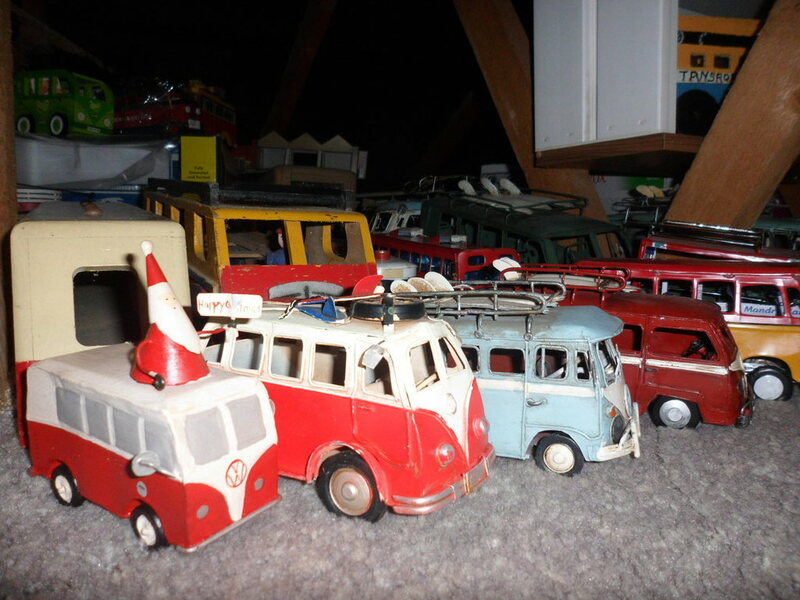 We do however collect casting variations on the same models.